Opening: "Billy Hightower lived atop the world's tallest building. Even the clouds didn't reach so high. When it rained, Billy stayed dry. No puddles. No rainbows." Summary (from publisher): Once upon a time, high atop the world, there lived a boy named Billy Hightower and the wind. When a new neighbor appears -- a girl in a red hat -- Billy Hightower can hardly wait to meet her and introduce himself. But the wind has other ideas." Why I Like This Book: I was initially drawn to this book by the colours. I just love the predominantly blue and white illustrations, with splashes of black and red. Plus, the wind is featured on every single page with enticing swirls of subtle, glossy lines. There are also some really cool perspectives; the most striking of which is the illustration of the boy looking up at the buildings. The story itself has a fairy tale quality to it. It reminded me a little bit of Rapunzel except that the "prince" doesn't save the "princess"; rather he saves himself from loneliness. For me, the most intriguing part of the story is the ending: "The Beginning . 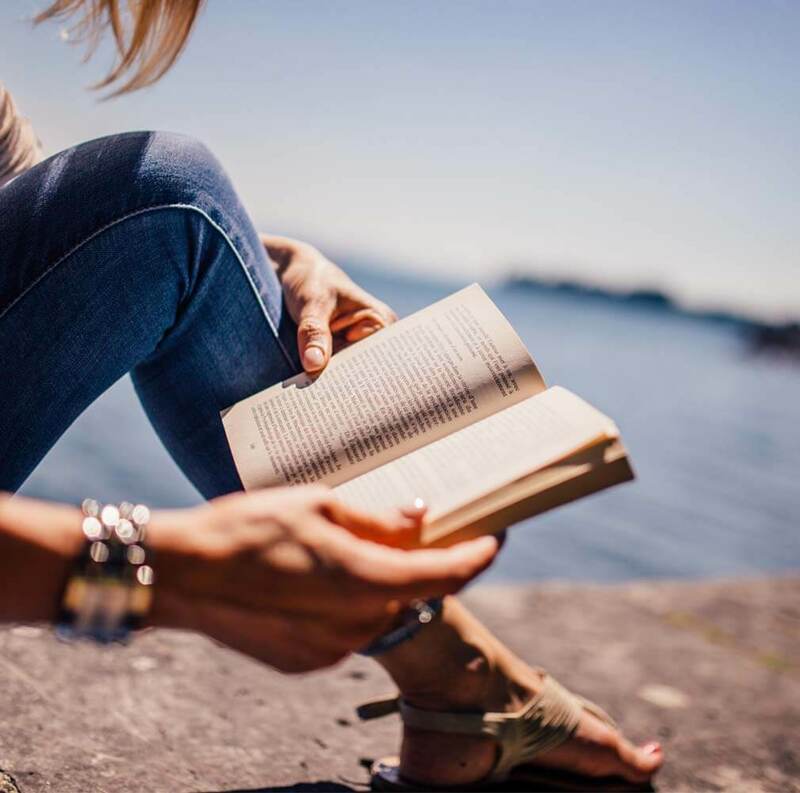 . . "
When I read that, all my kids said, "Huh?" so it was fun talking about what that meant. Drew hats on red construction paper. Cut out and glued to paintings. I think they're SO beautiful! We haven't done this yet, but this is the perfect book to write a sequel. It would be fun to have the wind play another starring role! Have you read this book to your class? I'd love to know what you think. P.S. I'm linking up with Susanna Hill for Perfect Picture Book Friday! Two very different hat stories today. This one really sounds very unique! The ending is in "the beginning." This sounds like a book to study. Yes you could definitely spend some time studying both the illustrations and the ending. I'll be checking out the other hat book later today. Thanks for dropping in, Patricia! Wow -- the finished art projects are gorgeous! You might be the only one today:) Haha! I love the sound of this story. Your art project is AMAZING! I want to be in your class! 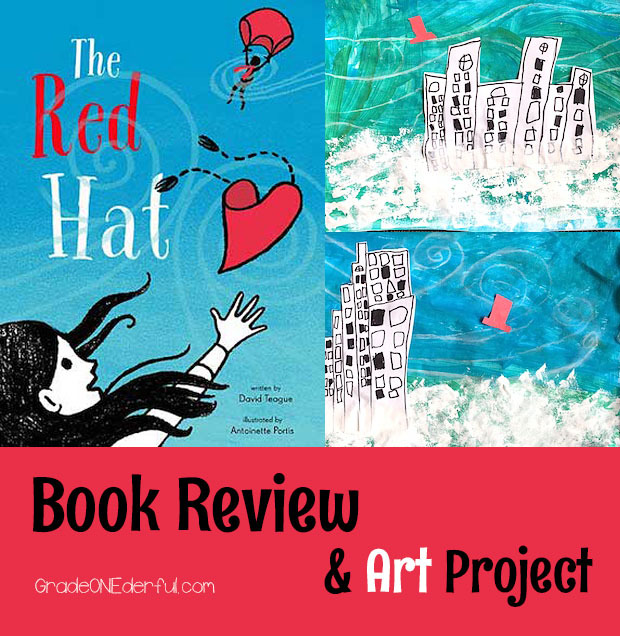 Your red hat art project is something else and a great complementation to the super illustrations in this story. Thanks! We couldn't wait to begin our art project after reading the book. I think we'll tackle the writing next week. What a fabulous art project to go with a book I can't wait to enjoy for myself. I think I'll do this art project with my daughter this weekend! Those art pieces are so fun. I love how unique and different they all are. Thanks, Tammy. It was definitely one of my fav art projects this year.